Raga, Ragas or Raag – In the Indian Classical Music, Raga is the basis of melody and Tala is the basis of rhythm. A raga may be described as a combination of Swaras or notes that conform to specific rules and expression of melodies, the ragas were identified from melodies that conveyed different moods and gave different vibrations to different energy centers. Ragas are a series of between 5 to 12 musical notes, in theory divided into three categories Audav, Shadav and Sampurna Jati. 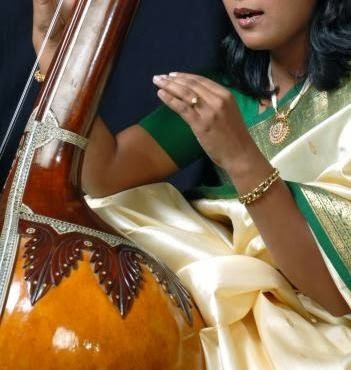 Carnatic raga elaborations are generally much faster in tempo and shorter than their equivalents in Hindustani music. Divya music offers vocal music education on regular basis and DM Live core – online vocal music classes. This raag is a mixture of Bairagi & Ahir Bhairav, for example if from Ahir Bhairav Remove the Gandhar and in Bairagi use suddh Dhaiwat in spite of komal Dhaiwat. Other important thing, Like Bhairav in this raga Re is vibrating all the time so that by nature it's feel very smooth and peaceful. That - Bhairav, Jati - Audav-Audav, Varjit swar - Gandhar, Aaroha - Sa komal Re Ma Pa, Dha komal Ni Sa, Avaroha - Sa komal Ni Dha Pa, Ma komal Re Sa, Pakad - Sa komal (Mandra) Ni (Mandra) Dha komal (Mandra) Ni Re Sa Sa komal ReMa MaPaMa Komal Re komal Re Sa, Vadi - Samvadi - Madhyam & Shadaj, Komal or Tivra Swar - komal Rishabh & Nishad , Time of singing - First part of the day (Early Morning), Nature of Rag - peaceful and Smooth, Rag Vishtar - All Saptak , Sam prakriti rag - Ahir Bhairav & Bairagi. That - kalyan, Aaroha - Sa Ga Re Ma Ga, Pa Tivra Ma Dha Pa, Ni Dha, Tar Sa, Avaroha - Tar Sa, Dha, Ni Pa, Dha Tivra Ma Pa, Ga, Re Ma Ga, Pa Re Sa, Pakad - Sa, Ga, Re Ma Ga Pa Re Re Sa, Jati - Vakra Sampurna, Varjit swar - NA, Vadi - Samvadi - Gandhar and Dhaiwat, komal & Tivra - Madhyam Tivra , Time of singing - Third part of the day, Nature of Rag - Deep, Samprakirti rag - NA, Notation of Nyas - Pa, komal Dha and Sa. Note : By name it's a combination of two ragas Gaud and Sarang but feature shows combination of Raga Gaud and Kalyan. Somewhere it's a complicated raga.